Come out and support the Michael Feger Paralysis Foundation August 23, 2014 at Ruby Tuesday of Blankenbaker (in front of Sam’s Club). Grab your family and friends and join us at the Ruby Tuesday of Blankenbaker on Saturday, August 23, 2014. 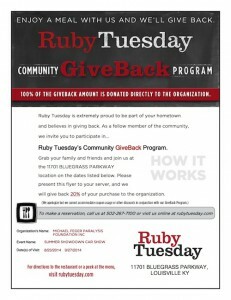 When you present the GiveBack flyer to your server, Ruby Tuesday will give back 20% of your purchase to the Michael Feger Paralysis Foundation. 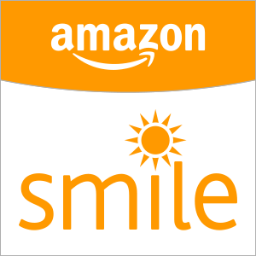 100% of the Give Back amount is donated directly to Michael Feger Paralysis Foundation!